It is silly season around Google, folks. Welcome! For the next week, expect a continued flow of leaks around all things #madebyGoogle as we ramp up to the event on October 9th. 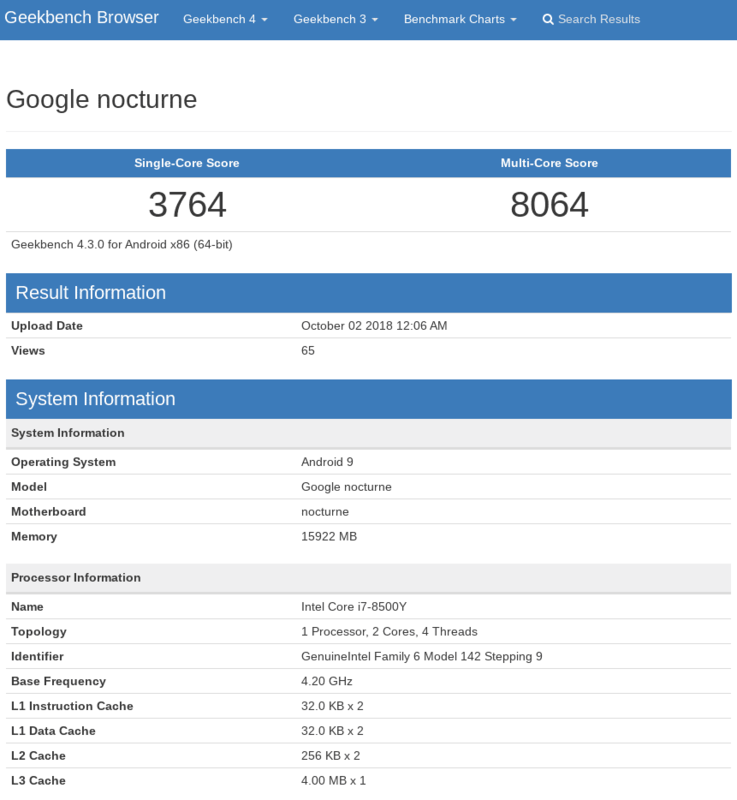 Today’s news comes via Phone Arena who found Google’s ‘Nocturne’ device lurking around in GeekBench. After seeing this, I quickly went to GeekBench for myself and found four septate entries for ‘Nocturne’. If you aren’t familiar with GeekBench, it is an Android benchmarking app that keeps user’s tests in a database for others to see. You can head over and search the database yourself, but I’ll link here to the search results when searching for ‘Nocturne’. What this means is someone in possession of the Google Pixel Slate has run GeekBench a few times to see how it scores. I seriously doubt this was on accident or that they didn’t expect it to be found by someone snooping around. It all just adds to the hype train, right? The unique thing about GeekBench scores, however, is the fact that the app pulls all the system info on its own. If you are looking at a score, the name of the motherboard and device are pulled from the device itself. I’m sure there are ways to spoof or fake this, but in general these results are coming from the machine listed in the database. 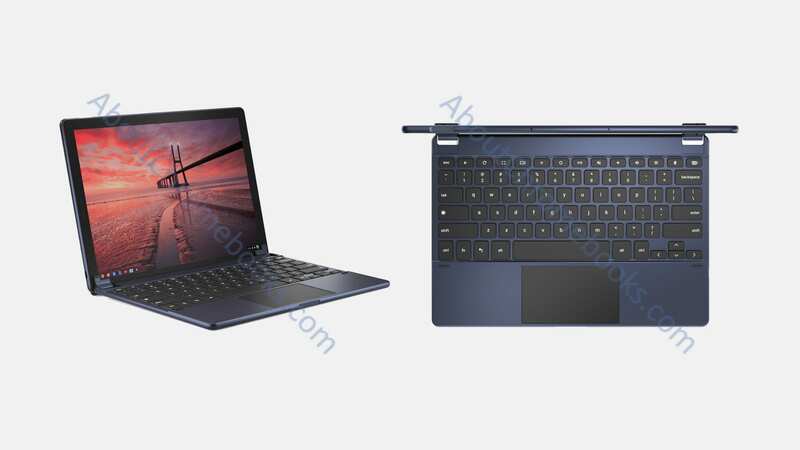 What I’m saying is: these scores are likely legit and it is highly likely that there will be a variant of the Pixel Slate with the Core i7 8500Y and 16GB of RAM. In my opinion, what is even more exciting is the fact that this device was tested with Android 9. Right now, all Chromebooks work with 7.1.1 and we knew that Google was planning on moving everyone to Pie at some point later this year. It looks like we may see Android 9 Pie show up with the new #madebyGoogle devices set to release next week. Keep in mind that along with this i7/16GB beast, we could very well see a Core i5 or even i3/m3 variant as well. One thing is for sure: this won’t come cheap. We’ve bet that this is Google’s play to compete with the iPad Pro, and I’d fully expect pricing to be competetive with that device. With those comparisons in mind, I’m sure some of you are already comparing these scores to the iPad Pro. I know I did. In single core, the Pixel Slate is faster, but gets beat pretty good in multi-core by the iPad and its A11 Bionic chipset. Don’t get too bent out of shape by this. GeekBench runs as an Android app and may not be fully indicitive of actual speed or power for Chromebooks. For now, just concentrate on the things we can glean from the listing: specific processor, RAM size, and Android 9. There’s still much to learn about this compelling new device. In just a week, we’ll know for sure.